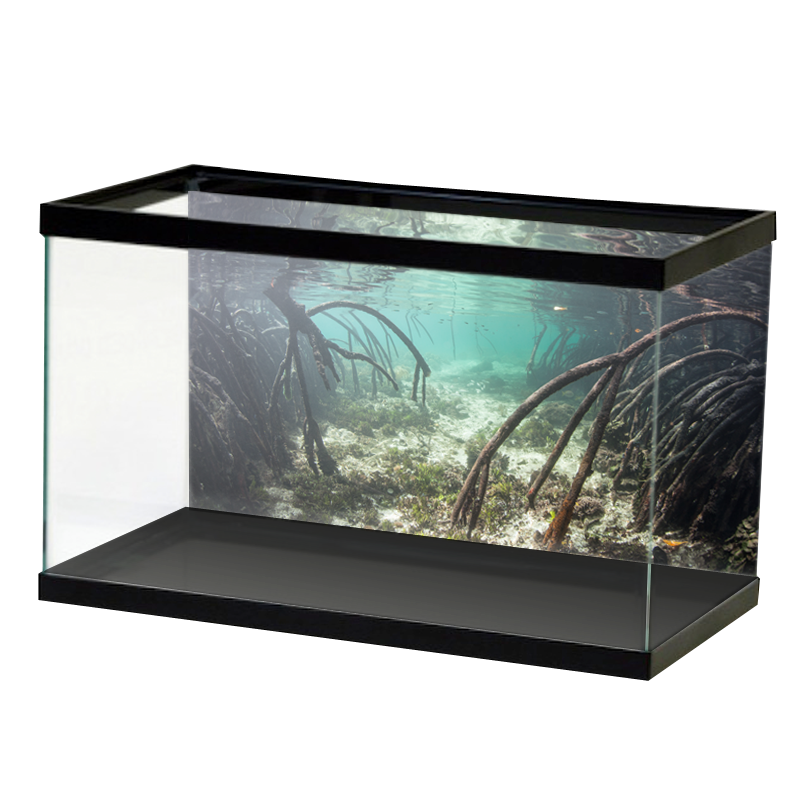 Aquarium Vinyl is the only online source for premium aquarium backgrounds and decals. Our self-adhesive, ready-to-apply vinyl graphics are high-quality and long-lasting. Browse our selection of unique designs, or send us your own. Around here we have some personal favorites that we like to make sure are featured, but our customers have demonstrated some pretty fantastic taste with the most popular picks, like unique designs including images from NASA's Hubble Telescope and Ancient Ruins. We have hundreds of premium-quality backgrounds that you can browse, and if you don't find what you're looking for you can send us a custom background order. Our categories include reefs, open water, caves, roots, mangroves, ruins, rivers, deserts (for our reptile friends) and unique backgrounds like quarantine tanks and sports arenas. Check Out Our Customers' Tanks! Our customers are the absolute best! One of my favorite things in life is to see what you guys do with your tanks. I absolutely love it! A lot of folks have shared images of their tanks with us, check them out, they're spectacular! Submit a custom design here.